Sounds pretty basic, but you should always make sure your orthodontist has the education and accreditation required to provide orthodontic treatment. Dr. Colalillo is educated and trained in the specialty of orthodontics and has been helping patients enjoy straight and healthy smiles for more than 20 years. Like the related field of dentistry, orthodontics is rapidly advancing and improving the services available to patients. A good orthodontist takes it upon himself or herself to keep up with the latest technology and orthodontic treatment methods. More often than not, the combination of up-to-date technology and treatments will provide you with the best smile results. Dr. Colalillo is proud that his practice is constantly staying abreast of the newest developments in orthodontic treatment. 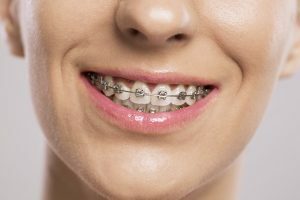 Both of these systems can be used to treat a number of orthodontic concerns—overcrowding, uneven spacing, overbites, underbites and crossbites, for example—and they offer the advantage of being far less noticeable than traditional braces. Let’s be honest—although orthodontic treatment is well worthwhile and often a necessity, it can also get expensive. Therefore, you need to make sure that your Mullica Hill orthodontist offers a few different means of payment. 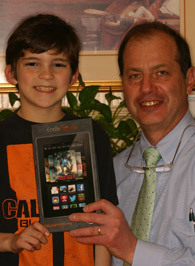 Dr. Colalillo and his staff are pleased to accept cash and personal checks, as well as Discover, MasterCard, and Visa. We will also work with your insurance carrier and fill out all claim forms to ensure that you receive the maximum allowable benefits for orthodontic care. We are also happy to work with flexible spending plans if your employer offers one, and we also accept CareCredit, a healthcare credit card. Finally, family discounts are available as well! If you’ve been looking for an orthodontist in Mullica Hill, Dr. Colalillo will be glad to answer any more questions you might have. Call our office today to schedule a consultation.